President Donald Trump has floated the idea of nominating former presidential candidate Herman Cain and conservative pundit Stephen Moore to policy seats on the Federal Reserve’s board. Would Cain and Moore alone swing interest rates? Probably not. But their appointments could erode non-partisan standards that make the Fed one of the most important economic institutions in the world. &nbsp;<br><br>Guest: Jordan Weissmann, Slate’s senior business and economics correspondent. Bernie went from virtual unknown in the 2016 election to front-runner with the highest campaign contributions in the first quarter of the 2020 race. And while some things have changed since he last ran four years ago, a lot about his campaign looks pretty much the same. Do voters appreciate someone who sticks to the issues? Or will Bernie’s resistance to getting personal hurt him this time around? <br><br>Guest: Slate politics writer, <a href="https://twitter.com/jim_newell?ref_src=twsrc%5Egoogle%7Ctwcamp%5Eserp%7Ctwgr%5Eauthor">Jim Newell</a><br><br>Podcast production by Mary Wilson, Jayson De Leon, and Anna Martin.<br><br>This episode is brought to you by Gobble. Get 6 meals for just $36, plus free shipping, by visiting <a href="http://gobble.com/whatnext">gobble.com/whatnext</a>. Nogales is the biggest port in Arizona, and has been a focal point of Trump’s increasingly aggressive tactics on the border. How do the president’s efforts to shut down the border change a place like Nogales? <br><br>Note: We first aired this episode on February 2, 2019.<br>&nbsp;<br>Guest: Mayor of Nogales, Arturo Garino.<br><br>Tell us what you think by leaving a review on Apple Podcasts or sending an email to <a href="mailto:whatnext@slate.com">whatnext@slate.com</a>. <br><br>Follow us on <a href="https://www.instagram.com/whatnextpod/">Instagram</a> for updates on the show.<br><br>Podcast production by Mary Wilson, Jayson De Leon, and Anna Martin. Stephon Clark was shot and killed by police officers in his grandmother’s backyard on March 18th, 2018. He was black. He was unarmed. Last month, the Sacramento DA decided not to press charges against the two officers who fatally shot Clark citing an honest and “reasonable” threat to the police officers' safety. In California, and across much of America, the word “reasonable” is enough to get officers off the hook when deadly force is used. Will the California state Legislature change that?<br><br>Guest: <a href="https://twitter.com/LaurelRosenhall">Laurel Rosenhall</a>, reporter at CALmatters and host of <a href="https://calmatters.org/articles/force-of-law-podcast-episode-one-cycles/"><em>Force of Law</em></a><em>, </em>a narrative podcast series following the debate in California on the use of deadly police force.<br><br>Tell us what you think by leaving a review on Apple Podcasts or sending an email to <a href="mailto:whatnext@slate.com">whatnext@slate.com</a>. Follow us on <a href="https://www.instagram.com/whatnextpod/">Instagram</a> for updates on the show.<br><br>Podcast production by Mary Wilson, Jayson De Leon, and Anna Martin. This week, we learned something: A messy, “no-deal” Brexit is likely off the table. This means that Britons can look forward to a slightly less messy, negotiated Brexit – provided that government officials can agree on what that looks like. With Theresa May and Jeremy Corbyn in charge of negotiations, reaching that consensus will be tough.<br><br>Guest: <a href="https://www.economist.com/topics/anne-mcelvoy">Anne McElvoy</a>, senior editor at <em>the Economist</em>, head of <a href="https://www.economist.com/blogs/podcasts">Economist Radio</a>, and host of the chat show, <a href="https://www.economist.com/podcasts/2019/03/29/what-lessons-should-europe-take-from-brexit">The Economist Asks</a>.&nbsp; <br><br>Tell us what you think by leaving a review on Apple Podcasts or sending an email to <a href="mailto:whatnext@slate.com">whatnext@slate.com</a>. Follow us on <a href="https://www.instagram.com/whatnextpod/">Instagram</a> for updates on the show.<br><br>Podcast production by Mary Wilson, Jayson De Leon, and Anna Martin. President Trump’s naked disdain for Puerto Rico’s struggles might be rhetorically jarring. But it reflects long-standing U.S. policies toward the territory.<br><br>Guest: <a href="https://yarimarbonilla.com/">Yarimar Bonilla</a>, political anthropologist and author of the book, <a href="https://www.amazon.com/Aftershocks-Disaster-Puerto-Before-After/dp/1642590304?tag=slatmaga-20"><em>Aftershocks of Disaster: Puerto Rico Before and After the Storm</em></a>.<br><br>Tell us what you think by leaving a review on Apple Podcasts or sending an email to <a href="mailto:whatnext@slate.com">whatnext@slate.com</a>. Follow us on <a href="https://www.instagram.com/whatnextpod/">Instagram</a> for updates on the show.<br><br>Podcast production by Mary Wilson, Jayson De Leon, and Anna Martin.<br><br>This episode is brought to you by Simplisafe. Start protecting your home today at <a href="http://simplisafe.com/WHATNEXT">simplisafe.com/WHATNEXT</a>. Late last month, someone paid a call to Congress. She wanted to talk about the Trump administration’s disregard for established national security protocols. The call was coming from inside the house -- inside the White House, that is. <br><br>Guest: <a href="https://twitter.com/nedprice">Ned Price</a>, Director of Policy and Communications at National Security Action.&nbsp;<br><br>Tell us what you think by leaving a review on Apple Podcasts or sending an email to <a href="mailto:whatnext@slate.com">whatnext@slate.com</a>. Follow us on <a href="https://www.instagram.com/whatnextpod/">Instagram</a> for updates on the show.<br><br>Podcast production by Mary Wilson, Jayson De Leon, and Anna Martin. Mick Mulvaney is not here to rein in the president. How Trump’s new acting chief of staff has the White House pursuing a Freedom Caucus agenda.<br><br>Guest: Jordan Weissmann, Slate’s senior business and economics correspondent.<br><br>Tell us what you think by leaving a review on Apple Podcasts or sending an email to <a href="mailto:whatnext@slate.com">whatnext@slate.com</a>. Follow us on <a href="https://www.instagram.com/whatnextpod/">Instagram</a> for updates on the show.<br><br>Podcast production by Mary Wilson, Jayson De Leon, and Anna Martin.<br><br>This episode is brought to you by Gobble. Get 6 meals for just $36, plus free shipping, by visiting <a href="http://gobble.com/whatnext">gobble.com/whatnext</a>. This week, the Supreme Court returned to the subject of partisan gerrymandering. After kicking the can down the road last time, will the court finally decide on the constitutionality of drawing election maps to rig elections? And who’s the most interesting justice to watch? <br><br>Guest: Mark Joseph Stern, who covers the courts and the law for Slate. 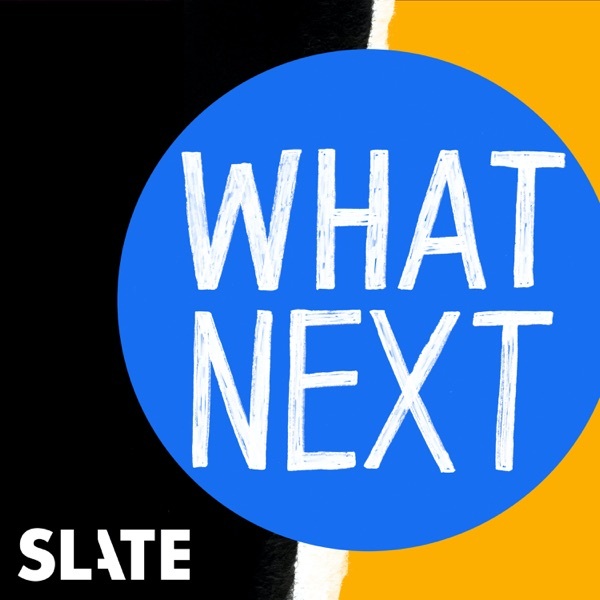 <br><br>Tell us what you think by leaving a review on Apple Podcasts or sending an email to <a href="mailto:whatnext@slate.com">whatnext@slate.com</a>.&nbsp;<br><br>Podcast production by Mary Wilson, Jayson De Leon, and Anna Martin. The president’s week was off to a great start. The Attorney General’s letter regarding Mueller’s Russia investigation largely exonerated him of any crimes. So why did Trump start talking about health care again? It’s anybody’s guess, but Democrats are ecstatic.<br><br>Guest: Dan Diamond, Health Care Reporter at Politico<br><br>Tell us what you think by leaving a review on Apple Podcasts or sending an email to whatnext@slate.com. Follow us on<a href="https://www.instagram.com/whatnextpod/"> Instagram</a> for updates on the show.&nbsp;<br><br>Podcast production by Mary Wilson, Jayson De Leon, and Anna Martin. New York City’s top public high school has a diversity problem. How did the crown jewel of the city’s public education system come to look so unlike the public?<br><br>Guest: Mara Gay, writer for the New York Times Editorial Board.<br><br>Podcast production by Mary Wilson, Jayson De Leon, and Anna Martin. What we know about the Mueller report. Spoiler: not a whole lot.<br><br>Guest: Dahlia Lithwick, Slate’s legal correspondent and host of the Amicus podcast.&nbsp; Podcast production by Mary Wilson, Jayson De Leon, and Anna Martin.<br><br>This episode is brought to you by Simplisafe. Start protecting your home today at <a href="http://simplisafe.com/WHATNEXT">simplisafe.com/WHATNEXT</a>. This week, we’re following the enormous flooding in the Midwest. Climate change is magnifying the shortcomings of our river policies. We build in the flood plains, and we bracket our rivers with dams and reservoirs. But is it folly to think that we can control where the rivers run?<br><br>Guest: <a href="https://www.stltoday.com/news/local/columns/tony-messenger/">Tony Messenger</a>, metro columnist for the St. Louis Post-Dispatch.<br><br>Podcast production by Mary Wilson, Jayson De Leon, and Anna Martin. Some of your favorite presidents have tried to pack the Supreme Court. So why does it sound like such an extreme tactic? And why are top Democrats finally embracing it as a way out of the wilderness?<br><br>Guest: <a href="https://slate.com/author/mark-joseph-stern">Mark Joseph Stern</a>, Slate’s legal correspondent.<br><br>Podcast production by Mary Wilson, Jayson De Leon, and Anna Martin. The Christchurch shooter lurked in corners of the internet that most people don’t understand. But there are ways to fight extremists who are radicalized online -- and the U.S. has done it quite recently.<br><br>Guest: <a href="https://twitter.com/IwriteOK?lang=en">Robert Evans</a>, writer for <a href="https://www.bellingcat.com/author/robertevans/">Bellingcat</a> and host of the podcast <a href="https://www.behindthebastards.com/">Behind the Bastards</a>.<br><br>Podcast production by Mary Wilson, Jayson De Leon, and Anna Martin. This week, former Trump campaign chairman Paul Manafort was sentenced to a total of 7½ years in prison. Here’s how his case is one of the best examples of a special counsel making sure that those who did wrong serve the time.<br>Guest: Jed Shugerman, a professor at Fordham Law. <br>Tell us what you think by leaving a review on Apple Podcasts or sending an email to <a href="mailto:whatnext@slate.com">whatnext@slate.com</a>. Follow us on <a href="https://www.instagram.com/whatnextpod/">Instagram</a> for updates on the show.<br><br>Podcast production by Mary Wilson, Jayson De Leon, and Anna Martin. The FBI submitted indictments this week into the largest college admissions scam they’ve ever prosecuted. Celebrities, millionaire parents, and college sports coaches are among the dozens charged in a scheme that sought to get wealthy kids through a “side-door” of college admissions. One that guaranteed them entry to top-tier universities.<br><br>The admissions system has always favored the wealthy. Can that be fixed?<br><br>Guests: <a href="https://twitter.com/arthomason?ref_src=twsrc%5Egoogle%7Ctwcamp%5Eserp%7Ctwgr%5Eauthor">Andy Thomason</a>, editor at the Chronicle of Higher Education. And <a href="https://twitter.com/DeanJulie?ref_src=twsrc%5Egoogle%7Ctwcamp%5Eserp%7Ctwgr%5Eauthor">Julie Lythcott-Haims</a>, former Stanford dean and author of <a href="https://www.amazon.com/How-Raise-Adult-Overparenting-Prepare/dp/1250093635"><em>How to Raise an Adult</em></a><em>.<br></em><br>Tell us what you think by leaving a review on Apple Podcasts or sending an email to <a href="mailto:whatnext@slate.com">whatnext@slate.com</a>. Follow us on <a href="https://www.instagram.com/whatnextpod/">Instagram</a> for updates on the show.<br><br>Podcast production by Mary Wilson, Jayson De Leon, and Anna Martin<br><br>This episode is brought to you by Gobble. Get 6 meals for just $36, plus free shipping, by visiting <a href="http://gobble.com/whatnext">gobble.com/whatnext</a>. If you made your way up to 1185 Park Ave. on the Upper East Side of New York, you’d find an apartment building that looks like a castle. It’s the apartment of Jamie Dimon, CEO of JP Morgan Chase. Back in February protesters stood on the sidewalk and chanted up at him hoping to end JP Morgan Chase’s business with the private prison industry.<br><br>It worked.<br><br>Who are the protesters looking at next?<br><br>Guests: Tracy Jan, reporter at the Washington Post, and emoji activist Jennifer 8. Lee.<br><br>Tell us what you think by leaving a review on Apple Podcasts or sending an email to <a href="mailto:whatnext@slate.com">whatnext@slate.com</a>. Follow us on <a href="https://www.instagram.com/whatnextpod/">Instagram</a> for updates on the show.<br><br>Podcast production by Mary Wilson, Jayson De Leon, and Anna Martin. There's really never been a national political conversation about Joe Biden's record. Partly because much of the focus today is about the time he spent as Vice President under Barack Obama. If he decides to run, what other ugly skeletons will the public find?<br>Guest: Jamelle Bouie, New York Times Columnist<br>Tell us what you think by leaving a review on Apple Podcasts or sending an email to <a href="mailto:whatnext@slate.com">whatnext@slate.com</a>. Follow us on <a href="https://www.instagram.com/whatnextpod/">Instagram</a> for updates on the show.<br><br>Podcast production by Mary Wilson, Jayson De Leon, and Anna Martin. Facebook is reshuffling its priorities and making moves that could help it evade antitrust regulators. Will it affect users that much? No. Is it solving a problem users have been talking about? Not really. So what is Mark Zuckerberg’s latest blog post all about?<br><br>Guest: <a href="https://slate.com/author/will-oremus">Will Oremus</a>, Slate’s senior tech writer and co-host of the podcast <a href="https://slate.com/technology/if-then">If/Then</a>.<br><br>Tell us what you think by leaving a review on Apple Podcasts or sending an email to <a href="mailto:whatnext@slate.com">whatnext@slate.com</a>. Follow us on <a href="https://www.instagram.com/whatnextpod/">Instagram</a> for updates on the show.<br><br>Podcast production by Mary Wilson, Jayson De Leon, and Anna Martin. A scandal involving Justin Trudeau’s cabinet is putting Canada’s warts on display.<br><br>Guest: <a href="https://twitter.com/JesseBrown">Jesse Brown</a>, publisher of the <a href="https://www.canadalandshow.com/about-canadaland/">Canadaland</a> news site and podcast network.<br><br>Tell us what you think by leaving a review on Apple Podcasts or sending an email to <a href="mailto:whatnext@slate.com">whatnext@slate.com</a>. Follow us on <a href="https://www.instagram.com/whatnextpod/">Instagram</a> for updates on the show.<br><br>Podcast production by Mary Wilson, Jayson De Leon, and Anna Martin. House Democrats have scuttled a plan to chide Rep. Ilhan Omar over remarks she made about the U.S.-Israel relationship. Why were her words so triggering? Is she making a fair point? And what should she do now?<br><br>Guest: Slate economics and policy writer Jordan Weissmann.<br><br>Tell us what you think by leaving a review on Apple Podcasts or sending an email to <a href="mailto:whatnext@slate.com">whatnext@slate.com</a>. Follow us on <a href="https://www.instagram.com/whatnextpod/">Instagram</a> for updates on the show.<br><br>Podcast production by Mary Wilson, Jayson De Leon, and Anna Martin. The Momo challenge doesn’t appear to be much of a threat, but the fact that parents are worried about it reveals a real anxiety about the videos that YouTube pushes toward kids.&nbsp; <br><br>Guest: <a href="https://www.theatlantic.com/author/taylor-lorenz/">Taylor Lorenz</a>, writer for the Atlantic.<br><br>Tell us what you think by leaving a review on Apple Podcasts or sending an email to <a href="mailto:whatnext@slate.com">whatnext@slate.com</a>. Follow us on <a href="https://www.instagram.com/whatnextpod/">Instagram</a> for updates on the show.<br><br>Podcast production by Mary Wilson, Jayson De Leon, and Anna Martin. For years now, survivors of Catholic clergy sexual abuse have sought accountability at the local level, taking claims to their parish or bishop. But the Roman Catholic Church is a global institution, and experts say its cover-up of child abuse reaches the upper echelons of church leadership. What would it take to go after the Vatican? <br>&nbsp;<br>&nbsp;Guest: <a href="https://foxleadership.upenn.edu/directors-and-affiliates/marci-hamilton">Marci Hamilton</a>, founder of <a href="https://www.childusa.org/management">CHILD USA</a>. This episode first aired on Nov. 14, 2018.&nbsp; Tell us what you think by leaving a review on Apple Podcasts or sending an email to whatnext@slate.com. Podcast production by Mary Wilson, Jayson De Leon, and Anna Martin. Last fall, doctors from all over America took to social media with the hashtag #ThisIsMyLane (or #ThisIsOurLane). They sent pictures of themselves in blood-drenched scrubs and shared stories of treating victims of shootings. They were responding <a href="https://twitter.com/NRA/status/1060256567914909702">to a tweet from the NRA</a> chiding them for speaking out about gun violence. Who are these doctors who have seen the worst results of gun violence—and still own guns? Guest: Dr. Brendan Campbell, pediatric surgeon at <a href="https://www.connecticutchildrens.org/">Connecticut Children's Medical Center</a> in Hartford, Connecticut.&nbsp; This episode first aired on Nov. 15, 2018.&nbsp; Tell us what you think by leaving a review on Apple Podcasts or sending an email to whatnext@slate.com. Podcast production by Mary Wilson, Jayson De Leon, and Anna Martin. As violence erupts on the Venezuelan border, Vice President Mike Pence makes his way to Colombia to reaffirm American support for the opposition leader, Juan Guaido. How far is the U.S. willing to go? And will this be remembered as the weekend everything changed? <br><br>Guest: Ana Vanessa Herrero, reporter at the New York Times. Joshua Keating, international editor at Slate. <br><br>Tell us what you think by leaving a review on Apple Podcasts or sending an email to <a href="mailto:whatnext@slate.com">whatnext@slate.com</a>. <br><br>Follow us on <a href="https://www.instagram.com/whatnextpod/">Instagram</a> for updates on the show. Podcast production by Mary Wilson, Jayson De Leon, and Anna Martin. Chicago’s mayoral election is Tuesday. The race has been crowded, contentious, and very much shaped by the Laquan McDonald case.<br><br>Guest: <a href="https://twitter.com/jamiekalven">Jamie Kalven</a>, a journalist with the <a href="https://invisible.institute/about">Invisible Institute</a>. <br><br>Tell us what you think by leaving a review on Apple Podcasts or sending an email to <a href="mailto:whatnext@slate.com">whatnext@slate.com</a>. Follow us on <a href="https://www.instagram.com/whatnextpod/">Instagram</a> for updates on the show.<br><br>Podcast production by Mary Wilson, Jayson De Leon, and Anna Martin. As Democrats try to find an economic message that can win in 2020, a group of like-minded millionaires is making the rounds, telling any politicians who will listen, “We want to pay more in taxes.” Why now?<br><br>Guest: Morris Pearl, chair of <a href="https://patrioticmillionaires.org/">Patriotic Millionaires</a>.<br><br>Tell us what you think by leaving a review on Apple Podcasts or sending an email to <a href="mailto:whatnext@slate.com">whatnext@slate.com</a>. Follow us on <a href="https://www.instagram.com/whatnextpod/">Instagram</a> for updates on the show.<br><br>Podcast production by Mary Wilson, Jayson De Leon, and Anna Martin. A scientist on the outer fringes of his field has been patiently making the case that the U.S. government applies far too conservative controls on toxins in the environment. Now, he’s trying to implement his ideas at the EPA -- by writing a sweeping new rule that could make the agency unable to regulate pollution &amp; other contaminants.<br><br>Guest: <a href="https://twitter.com/@susrust">Susanne Rust</a>, reporter for the Los Angeles Times. <a href="https://www.latimes.com/local/california/la-me-secret-science-20190219-story.html">Read her story here</a>. <br><br>Tell us what you think by leaving a review on Apple Podcasts or sending an email to <a href="mailto:whatnext@slate.com">whatnext@slate.com</a>.<br><br>Podcast production by Mary Wilson, Jayson De Leon, and Anna Martin. People who believe the fraternity system is broken have been trying every which way to force changes -- something, anything, to stop the parade of injuries, sexual assaults, and deaths that have happened at frat houses. Last week, we saw yet another attempt to change frat culture -- this time in a lawsuit filed against Yale University. On Wednesday's show, how have fraternities evaded comeuppance for so long?<br><br>Guest: Doug Fierberg, attorney and founder of The Fierberg National Law Group.<br><br>Tell us what you think by leaving a review on Apple Podcasts or sending an email to <a href="mailto:whatnext@slate.com">whatnext@slate.com</a>. Follow us on <a href="https://www.instagram.com/whatnextpod/">Instagram</a> for updates on the show.<br><br>Podcast production by Mary Wilson, Jayson De Leon, and Anna Martin. After the school shooting in Parkland, Florida, we saw a group of students speed through the stages of grief and go directly to action. One year later, have they made any lasting changes to the gun control debate? <br><br>Guest: Dave Cullen, author of <a href="https://www.amazon.com/Parkland-Dave-Cullen/dp/178747707X?tag=slatmaga-20"><em>Parkland</em></a>. <br><br>Tell us what you think by leaving a review on Apple Podcasts or sending an email to <a href="mailto:whatnext@slate.com">whatnext@slate.com</a>. Follow us on <a href="https://www.instagram.com/whatnextpod/">Instagram</a> for updates on the show.<br><br>Podcast production by Mary Wilson, Jayson De Leon, and Anna Martin. President Donald Trump called on Rep. Ilhan Omar to resign after her anti-Semitic remarks this past weekend. She has since apologized, but the episode revealed a bigger problem that is bound to keep rearing its head for the Democratic Party: its stance on Israel.<br><br>Guest: Joshua Keating, Slate's International Affairs Writer.<br><br>Tell us what you think by leaving a review on Apple Podcasts or sending an email to <a href="mailto:whatnext@slate.com">whatnext@slate.com</a>. Follow us on <a href="https://www.instagram.com/whatnextpod/">Instagram</a> for updates on the show.<br><br>Podcast production by Mary Wilson, Jayson De Leon, and Anna Martin. Nogales is the biggest port in Arizona and its wall just became the symbol of Trump’s aggressive tactics on the border. How is the city's mayor dealing with a newly weaponized border wall?<br><br>Guest: Mayor of Nogales Arturo Garino.<br><br>Tell us what you think by leaving a review on Apple Podcasts or sending an email to <a href="mailto:whatnext@slate.com">whatnext@slate.com</a>. Follow us on <a href="https://www.instagram.com/whatnextpod/">Instagram</a> for updates on the show.<br><br>Podcast production by Mary Wilson, Jayson De Leon, and Anna Martin. Reporters in South Carolina schlepped to all 46 courthouses in the state to document every civil asset forfeiture case in a three-year period. What they found was an impossibly flawed law that rewards bad police-work.<br><br>Guests: <a href="https://www.greenvilleonline.com/staff/10595/-anna-lee/">Anna Lee</a>, reporter for the Greenville News. Read the paper’s series, <a href="https://www.greenvilleonline.com/news/taken/">TAKEN</a>. David Smith, a lawyer and defender of civil asset forfeiture laws, when properly applied.<br><br>Tell us what you think by leaving a review on Apple Podcasts or sending an email to <a href="mailto:whatnext@slate.com">whatnext@slate.com</a>. Follow us on <a href="https://www.instagram.com/whatnextpod/">Instagram</a> for updates on the show.<br><br>Podcast production by Mary Wilson, Jayson De Leon, and Anna Martin. The latest measles outbreak in the Pacific-Northwest is a self-inflicted wound. One that Texans, and Americans alike, should all pay attention to.<br><br>Guest: Dr. Peter J. Hotez, co-director of the Texas Children's Hospital Center for Vaccine Development.<br><br>Tell us what you think by leaving a review on Apple Podcasts or sending an email to whatnext@slate.com. Follow us on<a href="https://www.instagram.com/whatnextpod/"> Instagram</a> for updates on the show.<br><br>Podcast production by Mary Wilson, Jayson De Leon, and Anna Martin. Joaquín Guzmán operated in Mexico’s shadows for decades. His trial is shining a spotlight on who the man is and the chaos he sowed on a country . How are Mexicans dealing with the explosive allegations made against former presidents? And what are we all missing by sensationalizing the drug lord's trial?<br><br>Guest: León Krauze, Columnist for Slate, co-host of Trumpcast, and news anchor for Univision.<br><br>Tell us what you think by leaving a review on Apple Podcasts or sending an email to <a href="mailto:whatnext@slate.com">whatnext@slate.com</a>. Follow us on <a href="https://www.instagram.com/whatnextpod/">Instagram</a> for updates on the show.<br><br>Podcast production by Mary Wilson, Jayson De Leon, and Anna Martin. More than 1,000 journalists lost their jobs last week. The reason is pretty simple: Big tech is beating digital media to the money. To save journalism, what rules should the public be fighting for?<br><br>Guest: Will Oremus, Slate’s Senior Technology Writer.<br><br>Tell us what you think by leaving a review on Apple Podcasts or sending an email to <a href="mailto:whatnext@slate.com">whatnext@slate.com</a>. Follow us on <a href="https://www.instagram.com/whatnextpod/">Instagram</a> for updates on the show.<br><br>Podcast production by Mary Wilson and Jayson De Leon, with help from Anna Martin. The rightward shift of the Republican Party is kind of like global warming: Each political ecosystem is feeling it differently. In Kansas, lifelong Republicans are finding themselves without a habitat.&nbsp; <br><br>Guests: Barbara Bollier Kansas state senator, and Patrick Miller, political science professor at the University of Kansas.&nbsp; <br><br>Tell us what you think by leaving a review on Apple Podcasts or sending an email to <a href="mailto:whatnext@slate.com">whatnext@slate.com</a>. Follow us on <a href="https://www.instagram.com/whatnextpod/">Instagram</a> for updates on the show. Podcast production by Mary Wilson and Jayson De Leon. There's a clause in the 14th amendment that people wanting to change it continue to come back to: "and subject to the jurisdiction thereof." Today on the show, Professor Garrett Epps of The Atlantic joins us to explain why its absurd for Trump to think he can end birthright citizenship with an executive order and, also, why it's not absurd to talk about him wanting to change it. Kai Wright of WNYC and Slate’s Jamelle Bouie on the governor’s race in Georgia. Plus, Deadspin’s Dvora Meyers explains the implosion of USA Gymnastics.<br>&nbsp;We’ll be piloting What Next in public for the next several weeks. Tell us what you think: <a href="mailto:whatnext@slate.com">whatnext@slate.com</a>.&nbsp; Join Slate Plus! Members get bonus segments, exclusive member-only podcasts, and more. Sign up for a free trial today at <a href="http://www.slate.com/gistplus">Slate.com/whatnextplus</a>. Follow us on <a href="https://www.instagram.com/whatnextpod/">Instagram</a> for updates on the show, our weekend reading lists, and occasional posts about pita chips.&nbsp; Podcast production by Mary Wilson and Jayson De Leon. Engineering by Terence Bernardo. Budget cuts have crippled the IRS allowing tax cheats to run rampant. <em>ProPublica's</em> Jesse Eisinger says the agency's ability to pursue criminal cases is in collapse because of budget cuts and the fact that the agency still has the same number of auditors it had in 1953. So who benefits from this? And why does it matter? Mary Harris is joined by <em>Vox’s</em> Dara Lind to discuss how the latest caravan from Honduras is shining a light on the danger and red tape facing asylum seekers. Plus, what else did you miss today?<br><br>We’ll be piloting What Next in public for the next several weeks. Tell us what you think: <a href="mailto:whatnext@slate.com">whatnext@slate.com</a>. '<br><br>Join Slate Plus! Members get bonus segments, exclusive member-only podcasts, and more. Sign up for a free trial today at <a href="http://www.slate.com/gistplus">Slate.com/whatnextpus</a>. <br><br>Follow us on <a href="https://www.instagram.com/whatnextpod/">Instagram</a> for updates on the show, our weekend reading lists, and our occasional posts about pita chips.